Known for serving up Jamaica’s freshest beats and top-notch cuisine in downtown Manhattan, Miss Lily’s has become a social and cultural hub for all things Caribbean. The island aesthetic is reflected throughout the swanky decor of their restaurant, bakery, juice bar and variety shop – which serves as a record store, gallery space and home to internet broadcast station, Radio Lily. 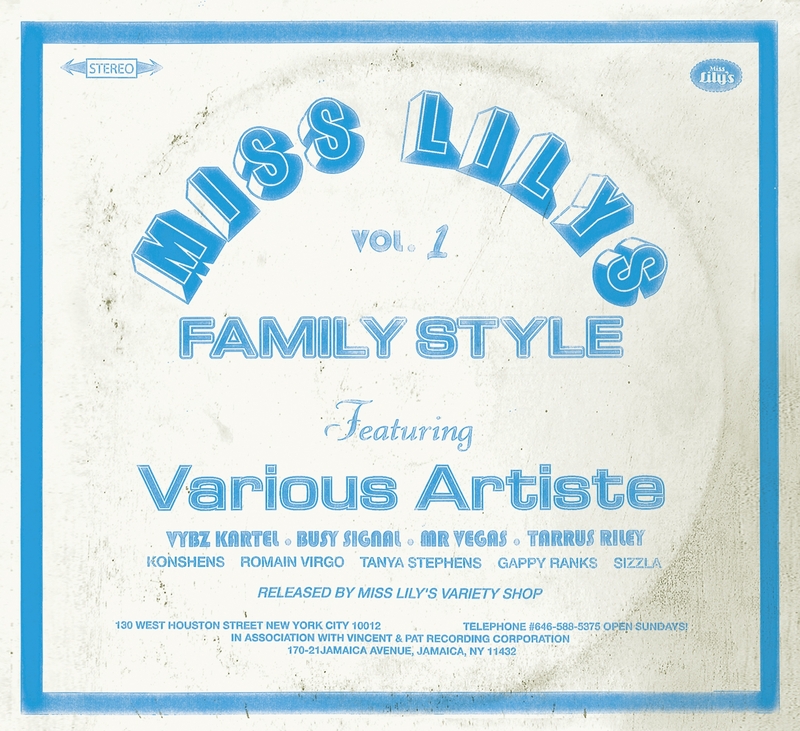 Miss Lily’s Variety Shop, located directly next door to the restaurant, celebrates their first year in business and launches a brand new CD series Miss Lily’s Family Style (VP Records) on January 22. The first installment is executive produced by Radio Lily resident DJ Max Glazer along with one of Miss Lily’s founding partners, Paul Salmon, who also owns Jamaica’s award-winning Rockhouse Hotel and co-founded Joe’s Pub in Manhattan. Enclosed in the CD’s vintage vinyl-inspired packaging are in-depth liner notes written by reggae journalist and Radio Lily DJ Rob Kenner along with a free download card of a 43-minute mix by DJ Max Glazer.